MegRhythm Gentle Steam Eye Mask are from the Japanese Kao brand, and a very clever self-care product you'll want to always have on hand. The disposable MegRhythm Gentle Steam Eye Mask uses advanced self-heating technology to soothe and relax eyes in ten minutes. You can use it at the end of a long day to relieve tired eyes, relax, ease headaches or prepare for sleeping. Note: This is not like a traditional "skincare sheet mask" in which a gel/liquid formula is deposited on to the skin or eye area. The MegRhythm Gentle Steam Eye Mask are packaged individually and are portable, so you can toss them in your travel bag or keep next to your nightstand. 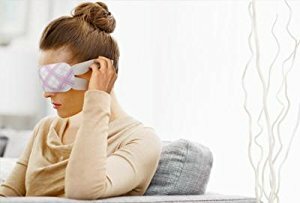 I found that some days after having my eyes glued to various screens and digital devices, the MegRhythm Gentle Steam Eye Mask was perfect way to decompress and relax. 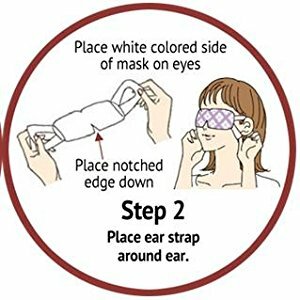 The MegRhythm Gentle Steam Eye Mask is easy to use. 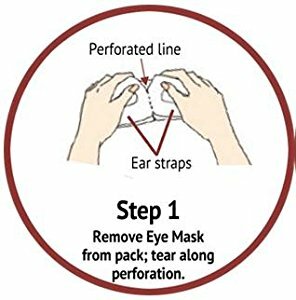 You open the pack, unfold and break the perforation for the ear straps and then put over your eyes. Almost immediately I felt the cushions covering my eyes begin to warm up to a very warm (but not burning!) temperature. I used the MegRhythm Gentle Steam Eye Mask Citrus scent version (it's the scent of the Japanese yuzu fruit), which was also slowly released and continued permeate through the mask 10 minute session. The effect made it feel like a mini-steam sauna for my eyes. After the 10 minutes were up, I could feel the mask begin to level off with the heat and then got cool. Once I took it off, I felt so much more relaxed. My eye area looked more relaxed and in cases when I used it before bed, I drifted off to sleep like a baby! Once I removed it, I just tossed it in the trash - no fuss and no mess. 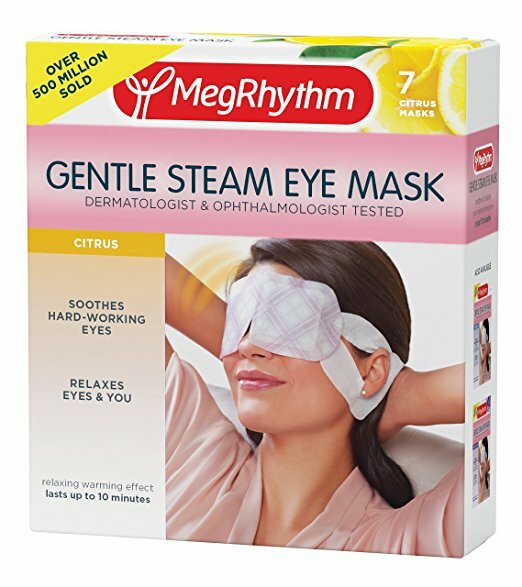 Other great uses for the MegRhythm Gentle Steam Eye Mask - while on a long haul flight, after a gym session in a locker room rest area, for a quick power nap. The MegRhythm Gentle Steam Eye Mask instructions do say that because of the heat, it may disturb makeup, so I always used this on a clean, bare face for the best results. There are 7 MegRhythm Gentle Steam Eye Masks in a box and they also come in unscented and Lavender versions as well. *This product was provided courtesy of MegRythm PR for reviewing purposes.